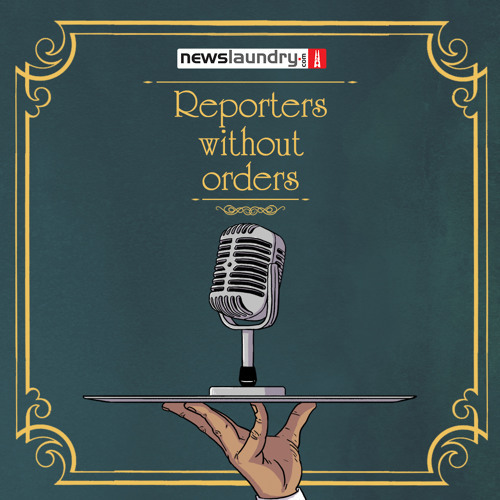 This episode of Reporters Without Orders features host Cherry Agarwal, Newslaundry's head of research Ayush Tiwari, special correspondent Prateek Goyal and independent journalist Aruna Chandrasekhar. The panel talks about the Indian airstrike in Jaba, near Balakot, Supreme Court's order to evict more than 1 million tribals and forest-dwellers, the Kisan long march in Maharashtra and more. The podcast kicks off with the panel talking about IAF’s airstrike on Jaish-e-Muhammad's "biggest training camp" in Pakistan. They also talk about the Supreme Court's verdict which has the potential to impact as many as 1 million tribals and forest-dwellers. Cherry points how tribals are often criticised for occupying "illegal" land. To which, Aruna says, “The government is supposed to be a custodian of public land…the idea that they are illegal occupants or illegal encroachers is part of language that is still extremely entrenched in our bureaucracy.” The panel also discusses why Arunachal Pradesh has been on the boil and a section of the media's coverage of the ongoing agitation. Further, they discuss the Republic TV-AMU controversy and the reason why sedition is used with much ease. Talking about police's actions in the AMU case, Ayush says, “They didn’t make any arrests in that sedition charge case… there are robbery, murder, rioting (charges), besides the sedition charge.” Moving on, Prateek, who was at the Kisan long march that began from Nasik's Mumbai Naka, tells the panel what he saw on the ground. The panel also discusses the implications of association of the farmers' protest with AIKS. Prateek says, “Farmers are in distress… people above the age of 70 walked 20-25 km to take part in the march.” He says whether AIKS takes advantage of that or not is a separate issue, but such protests will go a long way in highlighting the agrarian distress.